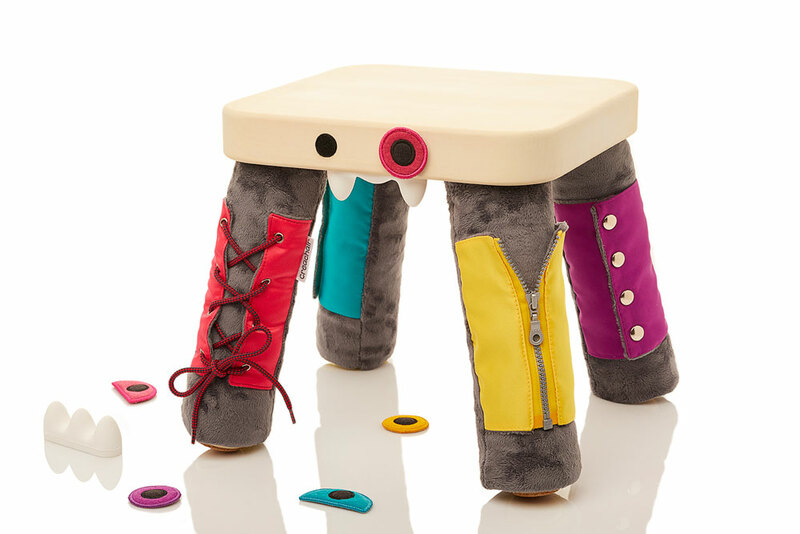 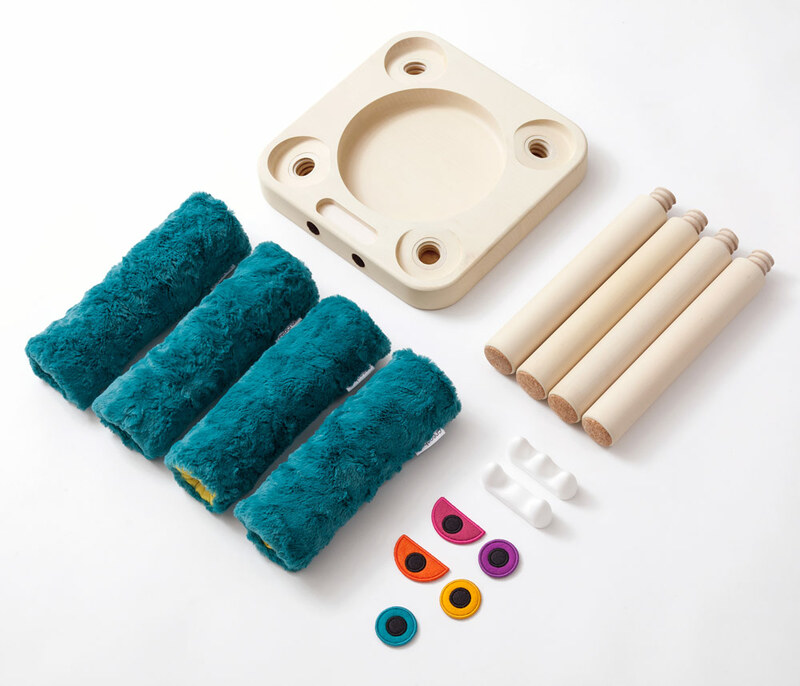 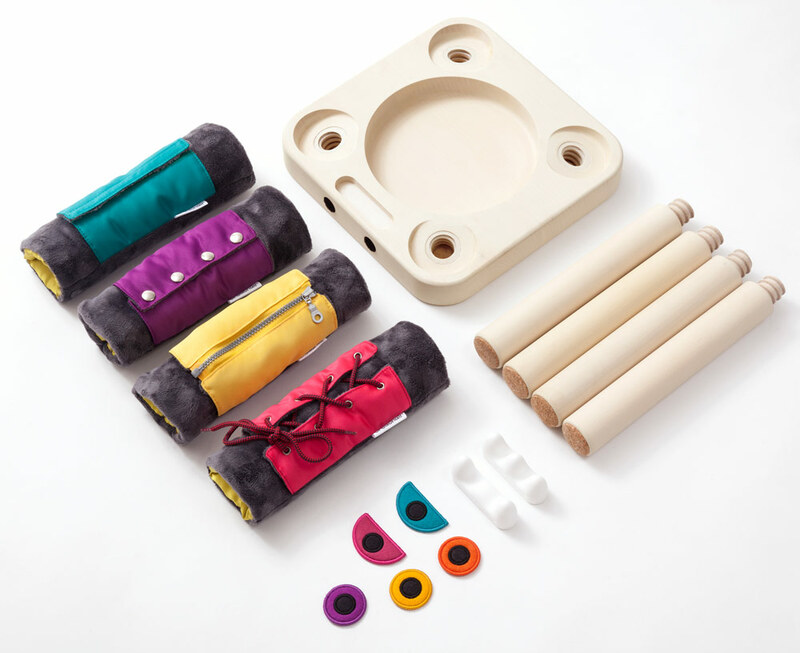 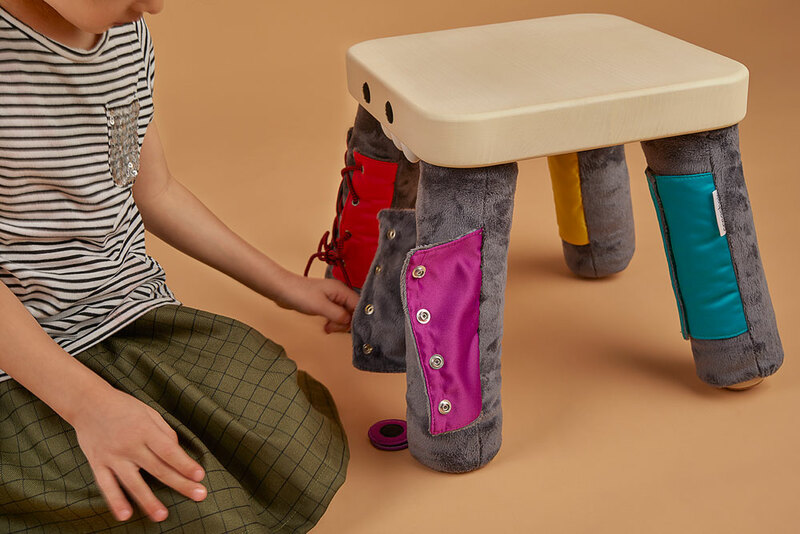 Inspired by the Montessori principals of education, this product is designed not only to be used as children’s furniture but to encourage kids to express emotions, participate with the design process and learn practical life skills – like handling a zipper, lacing, pushing buttons and fastening. 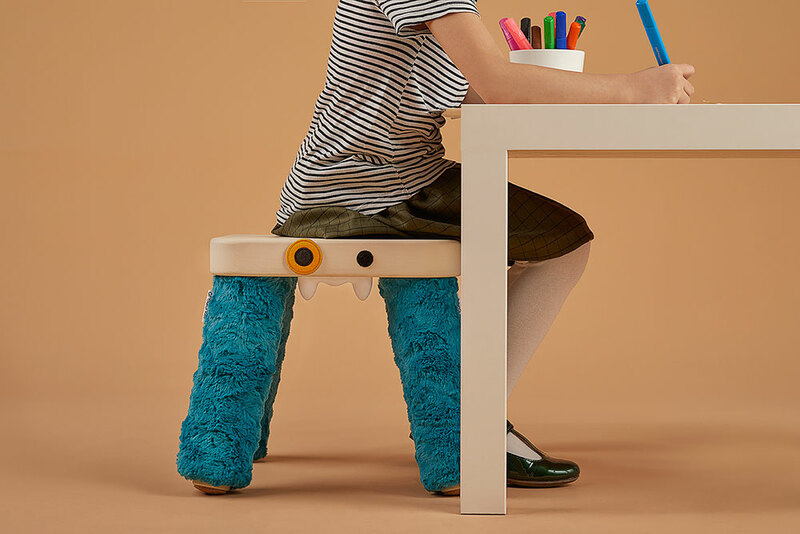 The stool is made with solid wood and it does not contain any metal parts, designed to be environmentally friendly and sustainable. 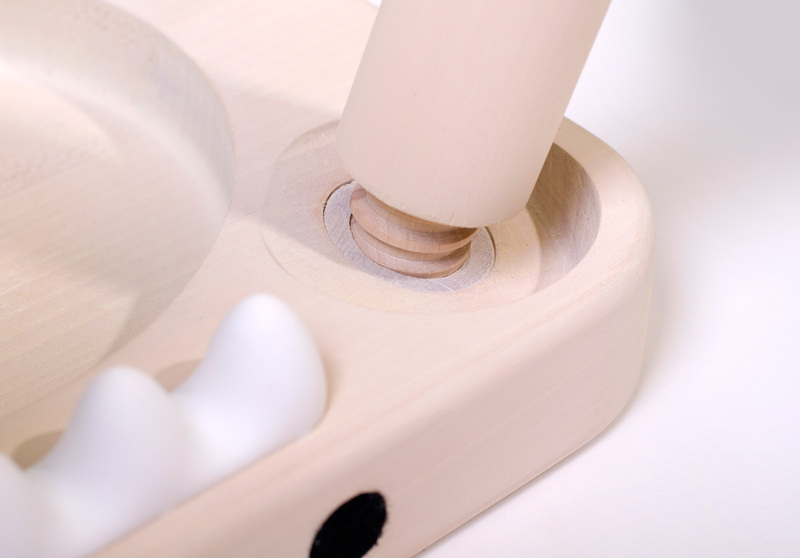 It is flat packed and easily assembled without any tools. 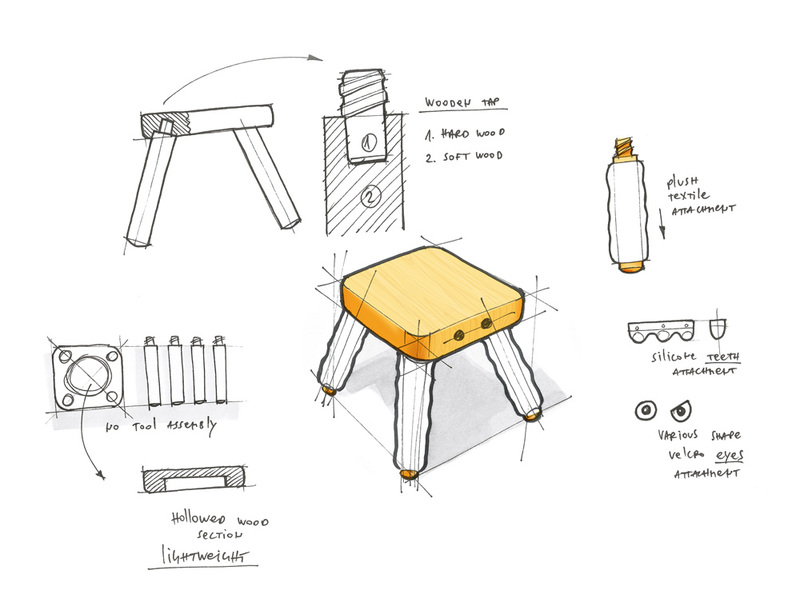 While working on the product in the Oblikus design studio, we used the Design Thinking methodology throughout the development process. 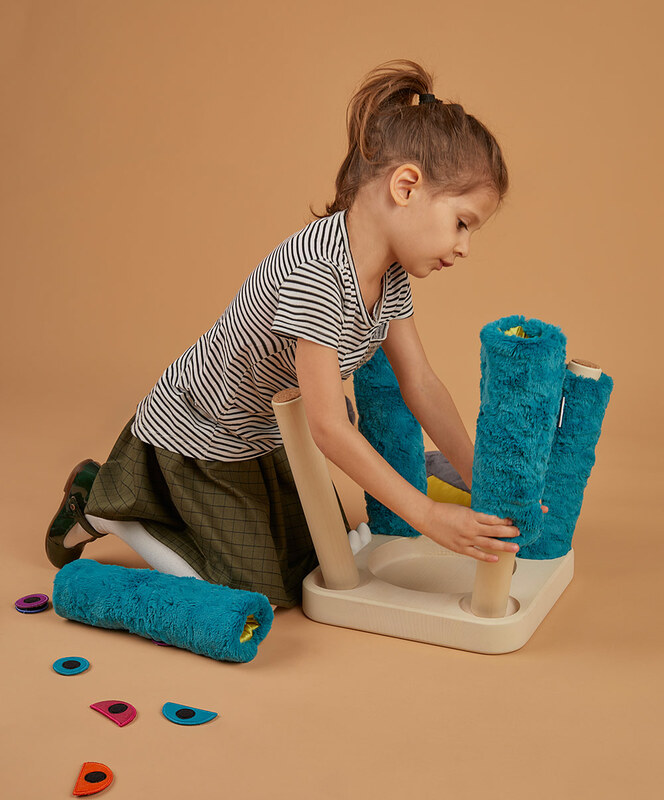 Here we identified the need to support the cognitive development of very small children, through tactile stimulation, use of fine motor skills and play. 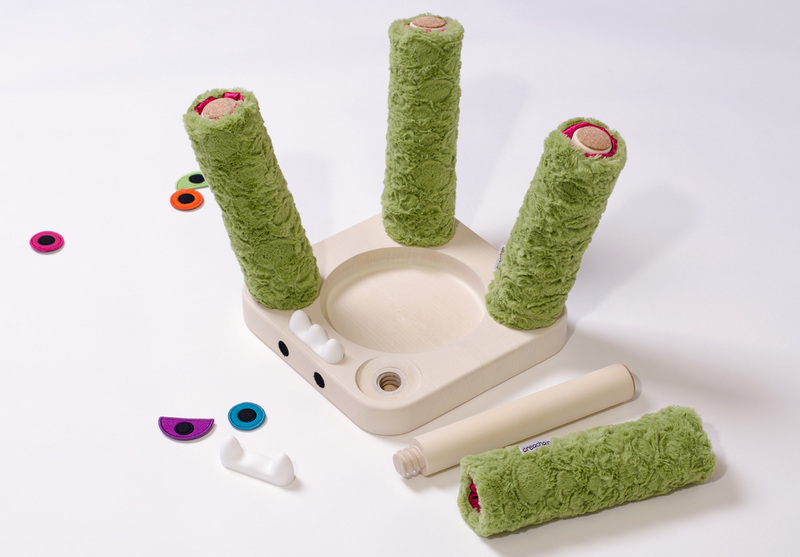 After the extensive research, we included kids and parent into the development process. 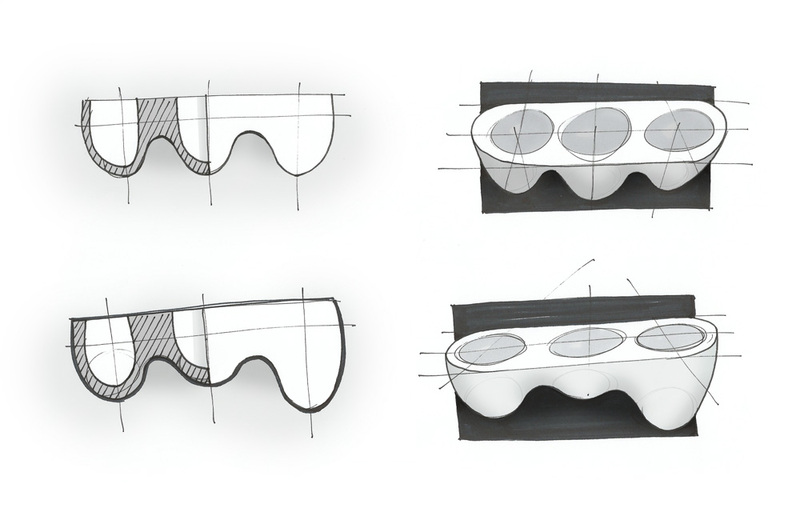 In the course of two years, we have had numerous rounds of prototyping and testing to reach a production-ready product. 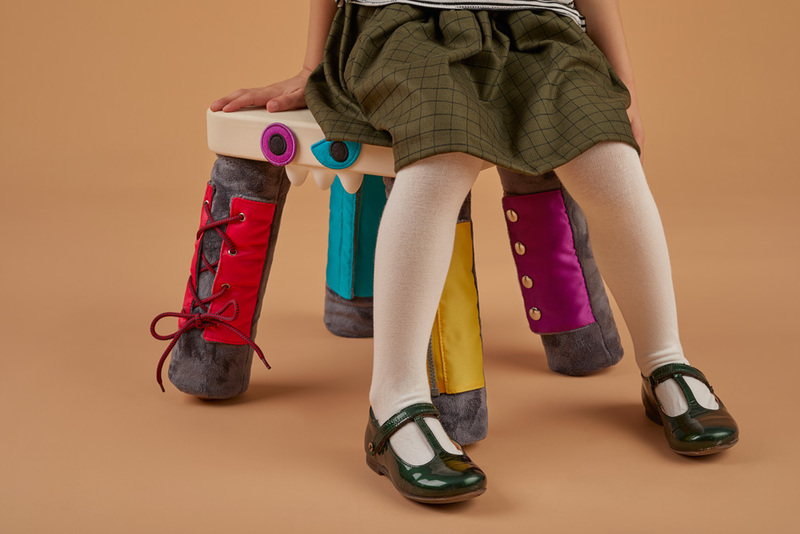 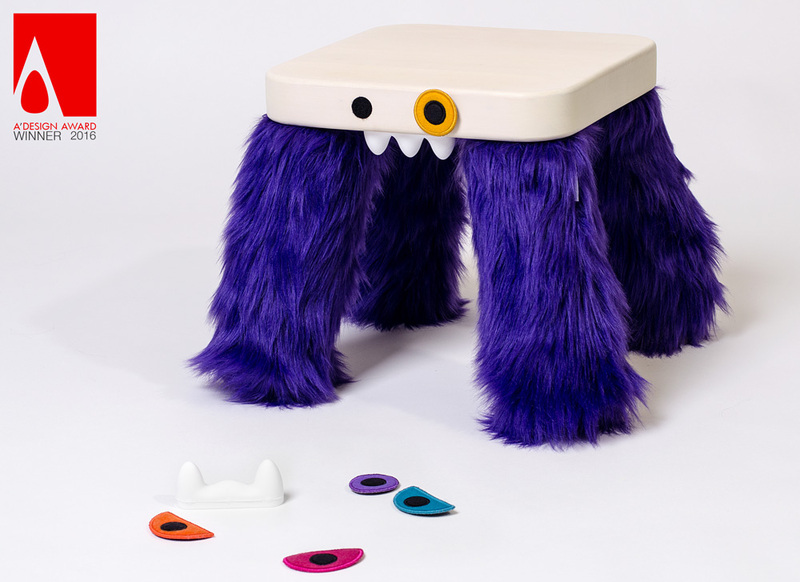 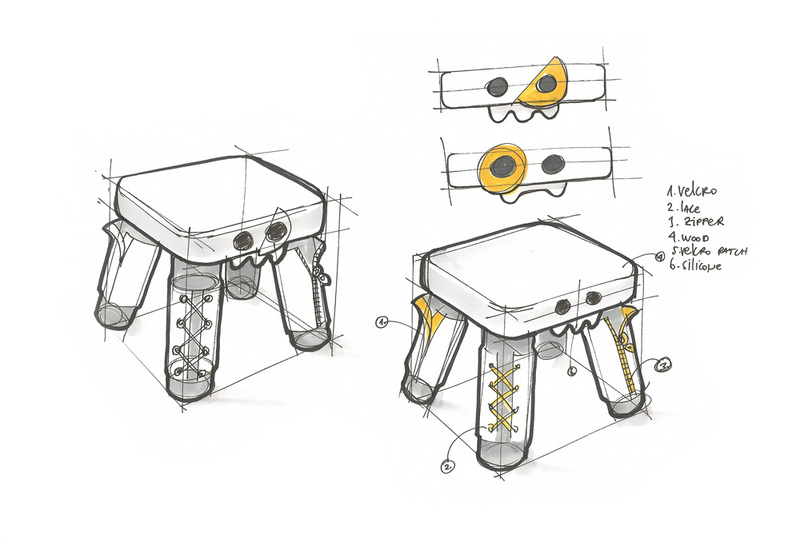 Each iteration made it more interesting for kids, better to interact, easier to assemble, safer to use, and finally optimized for manufacturing and completely recyclable. 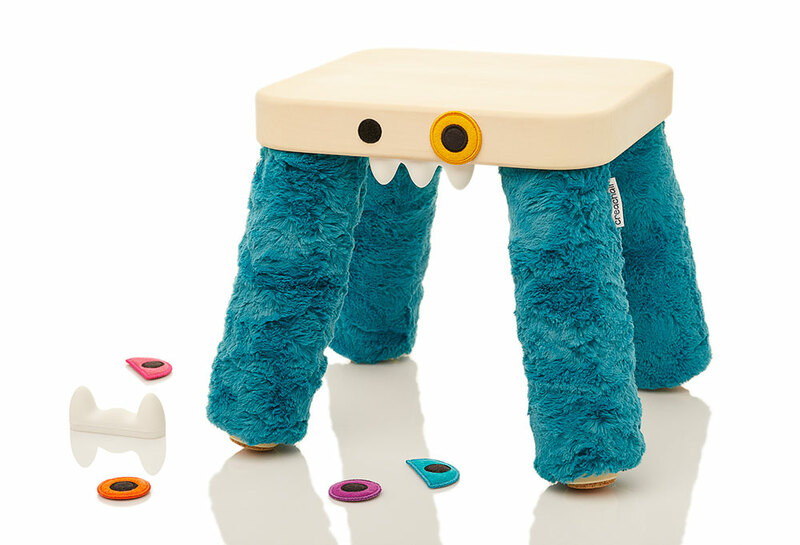 After it had been used for some time, and the children overgrow the product, it can stay around for many years and be used as really a handy furniture and kids interior decor piece. 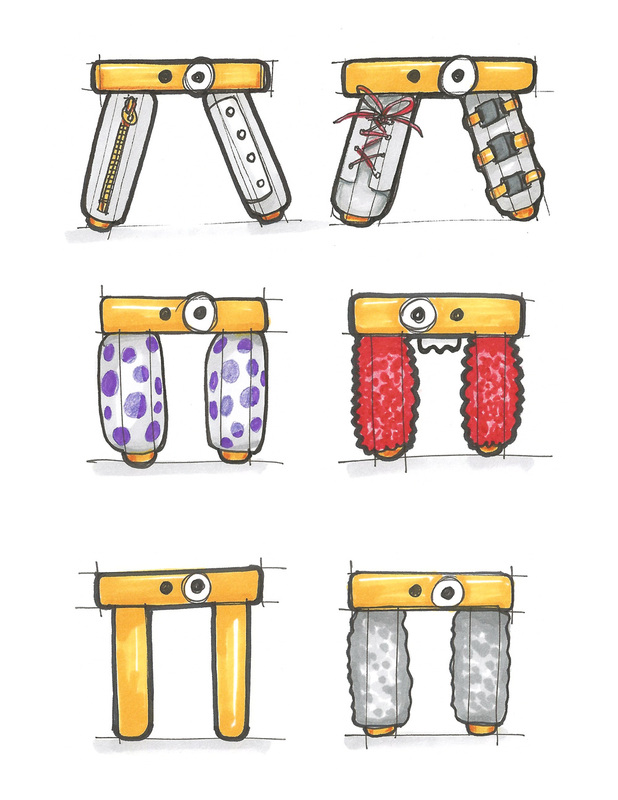 The character can be changed and freshened up by replacing the plush parts.